If you’re in your mid-20s or older, odds are the answer is “rarely, if ever.” But, man, times have changed. If you have children of your own, or have walked within 100 feet of a school recently, you know that’s not the case anymore. We’re bombarded with warnings about food allergies almost on a daily basis, and that’s because they’re a big problem. They’ve risen a whopping 50% between 1997 and 2007, and no one’s quite sure why. But a new study from the University of Chicago not only offers a possible cure, but a possible cause. 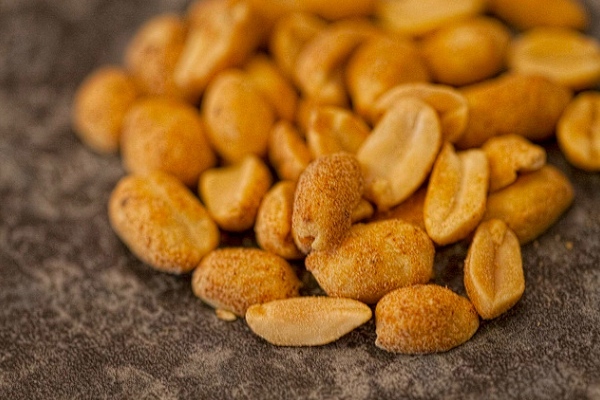 A very quick summary of the study: Scientists took a group of mice with peanut allergies and gave them the gut bacteria Clostridia, a bacteria found commonly in humans. After administering it, they found that the mice no longer had food allergies. Hooray! To understand more about this study, I called up the lead researcher, immunologist Dr. Cathryn Nagler. She’s spent the past decade studying how our bodies develop food allergies, including trying to analyze why we’re able to eat anything at all. In an attempt to further probe that question, Nagler and her colleagues authored a 2004 study that concluded the removal of gut bacteria in mice led to the development of food allergies. (They removed the bacteria by administering antibiotics, something to keep in mind for later.) With that conclusion out of the way, they began working on reversing the process by re-introducing bacteria. After a few tries, they found one that worked: Clostridia. Once introduced to the mice, the Clostridia acts as a barrier to keep the allergens in peanut proteins from entering their bloodstream. The allergens are still there, but they’re not able to produce the allergic reaction. Hence: No more food allergies. So, how long until this result provides benefits for humans? But one thing we don’t have to wait for is what this study suggests about the possible culprit behind food allergies: Our antibiotics-happy culture. What they’re getting instead is the alteration and elimination of the bacteria that may keep allergens at bay. And that’s just one of the problems that are associated with the overuse of antibiotics.